Mary, farmer’s wife and cookery writer, is a passionate advocate for locally produced seasonal food; and her cooking and writing is based on using the finest and freshest local ingredients. She writes for The Norfolk Magazine, is a regular guest on BBC Radio Norfolk and organises cookery theatres across East Anglia. 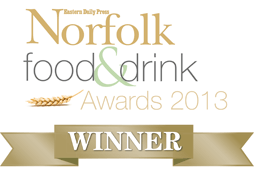 Mary also runs cookery demonstrations and classes at the farm in South Norfolk.